When in Bali in February, we went to Carrefours to do some shopping. After going through the check out, I noticed an optical store opposite. They had a sale on and I started looking at the frames. 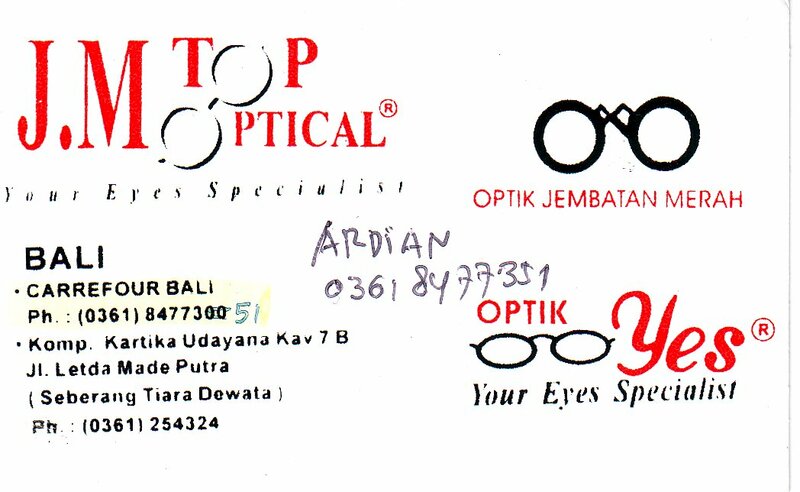 Adrian, who works in the store advised that I could get a pair of prescription glasses, which I so seriously wear (I am blind without) for IDR Rp 375 000 (AUS $46). There were so many frames to choose from and I settled on the first ones I saw – red. The same ones are about $300 in Australia. Honestly, they had all the brands and so much choice, more than what we get here in Darwin with the couple of optical stores we have here. As I had no idea what my script was, he check the glasses I was wearing to see if they had what I needed in stock. They did and guess what? My new glasses could be ready in 20 minutes, if we wanted to get something to eat and come back. That is exactly what we did. The glasses are fantastic. They were properly fitted and have caused no grief – the script is spot on. On top of it, I have had so many compliments about them, that I am so seriously thinking of going back and getting a few other colours! So tell me, why in Darwin does it cost so much and it takes two weeks for your glasses to be made up and why do they have to hold onto the script. Yes, this shop wrote down my script for me in case I wanted to have glasses made up somewhere else. By the way, they can do bi-focals but will need two days. This is still quicker than the two weeks we have to wait here. Bali, the island of the Gods, but also the island of cheap DVDs. A friend of ours put us onto this store on our very first trip four years ago. 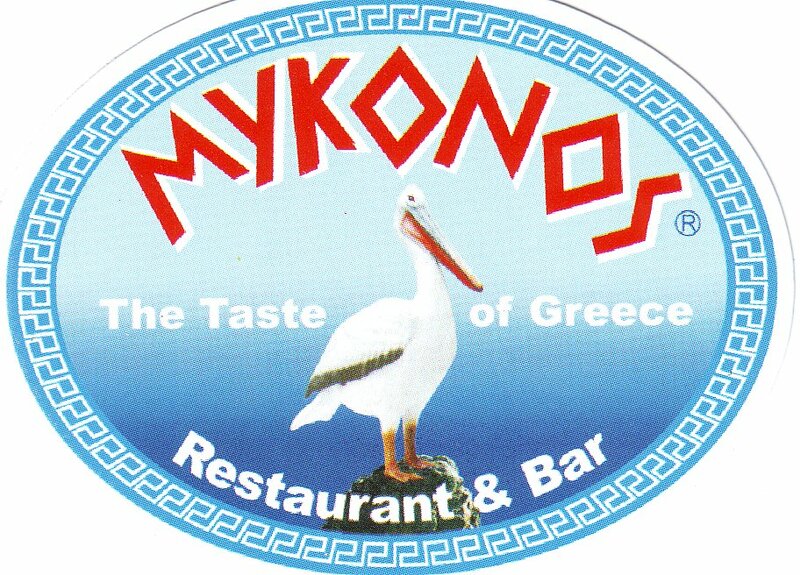 We don’t go anywhere else. Believe it or not, they know us very well here as well. We not only buy for us (which is mainly for our son, as we still don’t have much time to watch movies), but we are often shopping for friends also. We take everyone’s lists into the store and arrange to pick up the DVD’s the following day. The quality of the DVDs here are quite good and it is once in a way when you have a dud. 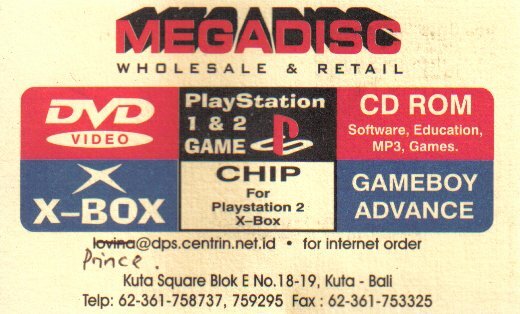 Really what do you expect when you are paying IDR Rp 10 000 (AUS $1.20) per DVD and for every 10 you get three free! Megadisc now have a number of stores, one across from Discovery Shopping Centre and one next door to the Febris Hotel just up the road from Discovery going towards the airport. They also sell excellent, good quality DVD folders for IDR Rp 50 000 (AUS $6) each. 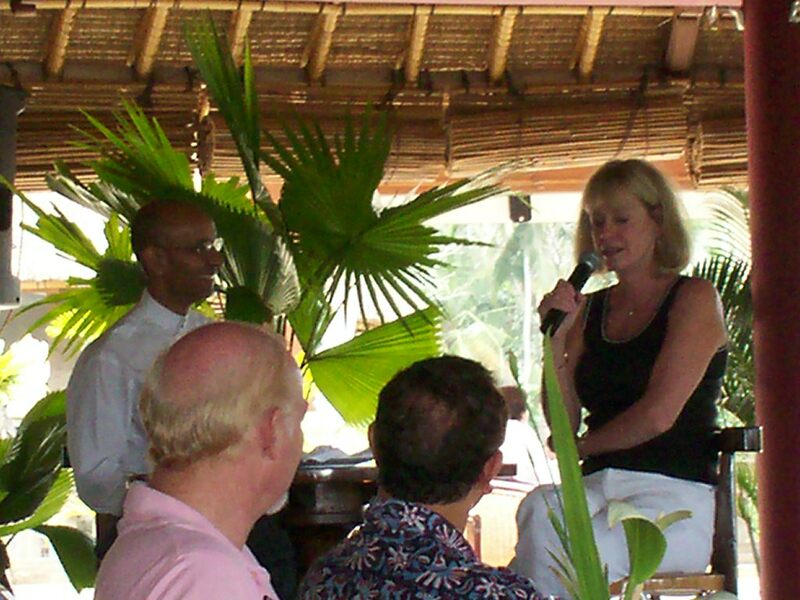 Speaking of Indonesian classes, we are off to Bali for business again in a couple of weeks and thought I should do a couple more updates from our last trip in February this year. 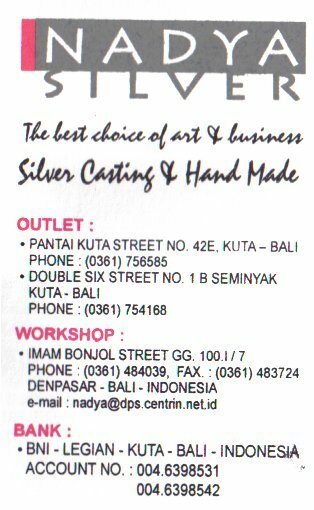 I have been to Nadya Silver every time I visit Bali. Why, the quality of workmanship is very high, the prices good but more importantly, they always have different, exciting and new merchandise along with the standard lines which is obviously their bread and butter trade i.e. export. They have great modern pieces, including brooches of which are a particular favourite. The staff speak excellent English and yes, you can bargain. The scary thing is they now see us walk up the street and run out the shop yelling my name – this freaks my husband a little. I have bought many pieces and I prefer their store at Jalan Double Six, it is right at the start of the street on the left hand side. Beware, a very busy intersection. In February, I bought a large link chain (all the rage in Europe at the moment) and a thick silver ring with a freshwater pearl inset – simple, but very eye-catching. This place rocks! I love this store and wanted to share with you. 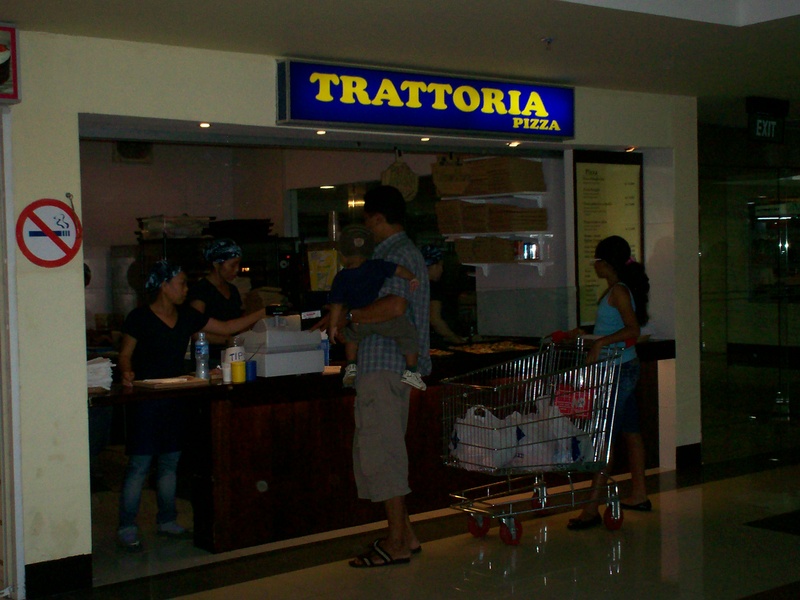 Whenever in Bali, we never miss the opportunity to visit and shop in Carrefour. I love the fact that this store is a hypermart and has absolutely everything including fridges, electronics, television in every imaginable size, MP3 players, digital cameras, suitcases, stationery, anything for the kitchen, clothing for men, women and children, shoes, toys, pet items and of course a fully loaded supermarket. We bought clothing for our son, my husband bought some shorts, we bought out favourite Nescafe three in one sachets, Tiger Balm (only $1 a bottle), toiletries etc. We always end up doing a good shop here. Previously I bought wooden trays for our home, spoons to be used for dishing out rice and curry (these spoons I only ever seem to find in Asia), Nivea skin lotion, clothing, household items etc. 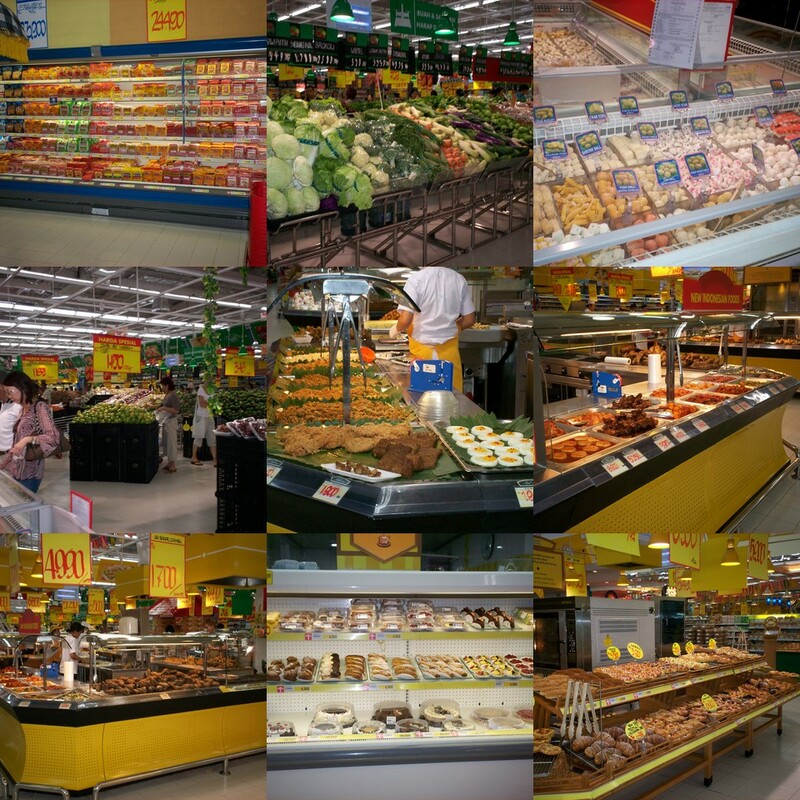 What always amazes me is the huge range to select from, the quality of the produce and the freshly cooked food that is available to buy – check out the photos. The top row, far left picture is just the range of sausages available! The abundance of quality fruit and vegetables puts Australia to shame – what are we first world and Indonesia is what? Third world I hear you say! The bakery treats, it was so hard to choose, but we did end of with a cake which was so yummy. Another thing I love about shopping at Carrefour is that you can use you pin number to make purchases therefore technically EFTPOSing your transaction – how cool is that, straight out of your savings account. All our purchases, which was quite a few bags full came to $70 Australian dollars – I was very happy with that. Located on Sunset Road and they have the best taxis in town servicing the Centre, Blue Bird Taxis. I will also write about some of the other stores in the complex as there are other good bargains to be had in the shopping complex.